PTSD is a disorder that develops after a traumatic experience. Such trauma sometimes involves combat, car accidents, natural disasters or sexual assaults. Up to 80% of individuals in their life will experience at least one traumatic event but, fortunately, most people do not go on to develop PTSD. The lifetime prevalence of developing PTSD is about 10% and women are twice as likely as men to develop PTSD. 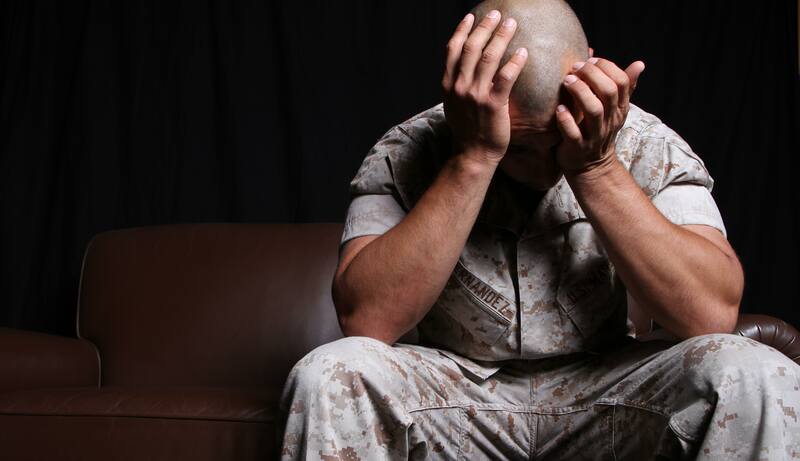 Those who do go on to develop PTSD typically will have one or more of the following symptoms: • traumatic nightmares • flashbacks taking them back to the event • distress after exposure to traumatic reminders or stimuli • hypervigilance/hyperarousal • avoidance of certain thoughts and situations • negative thoughts and mood including shame, despair and depression. A constellation of these symptoms must persist for at least a month for a diagnosis of PTSD to be made. Most PTSD Treatment are ineffective for some patients and their all generally slow acting—meaning that the patient must wait weeks to have a meaningful impact on the patient’s wellness. Ketamine has now been shown to be effective at managing PTSD in several clinical studies. Moreover, physicians are beginning to present case reports where ketamine has helped their patients. One of the largest benefits of using Ketamine off label for the treatment of depression is that it is generally very fast-acting. Patients typically report feeling better after the first infusion or two. Sometimes, they report feeling 100% better after 5 days of IV ketamine therapy. Come find out if Ketamine is right for you! If you or someone that you know has PTSD and has not responded or is not fit for other options, come find out if IV ketamine is right for you. Dr. Ashraf Hanna at the Florida Spine Institute has treated thousands of patients with IV ketamine with phenomenal outcomes. Don’t take our word for it, hear from our patients! Call 1-(727)-KETAMINE to make an appointment today!